Next to the planetarium, close to the old Anar Kali, a tall, cone-shaped Jain Temple greeted the visitor once. This was situated in the centre of the road, with two roads passing around it. Next to it are wooden balconies, with intricate designs on them; part of the original complex. 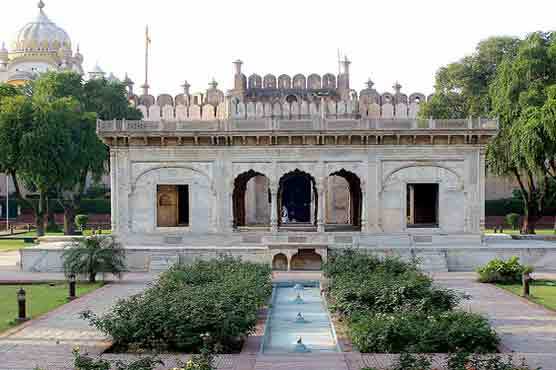 This was one of the three Jain temples in Lahore, according to Jainworld.com. The other ones were inside the Bhatti gate and on Ferozepur road, near Model Town. The temple stood in the middle of this bifurcation of roads, which earned this junction the name of Jain Mandar Chowk. Years of religious disuse had resulted in severe depredation of the structure. It various compartments, originally used by visiting pilgrims, students and priests, are now taken up by refugees of the partition of 1947. Their interconnected rooms have been permanently closed by mortar and bricks, as the demand of privacy increased among the new occupants. Larger rooms were divided into two, or sometimes even more, and the surplus ones rented out. All of these small rooms entertain much more people, then meant to. A cycle tire repairperson had made a makeshift shop on the pavement, next to the temple, many years ago, and still sits here. Then came the dreadful morning of 6th December 1992, and thousands of people converged towards the historical Babri Mosque, at Ayodhya, India. 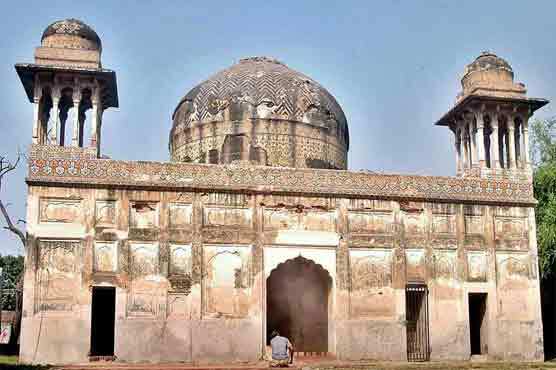 Within hours the Hindu fanatics, who wanted to correct the historical wrong that the first Mughal Emperor Babar committed, razed the structure. Their argument; Babar had destroyed a Hindu temple, meant to commemorate the spot, where the mythical Hindu King Ram was born, to build this mosque. This unleashed a chain of events that had repercussions thousands of kilometers away in Pakistan. In the following days, rightist leaders in Pakistan aroused the sentiments of the people and they, in thousands, attacked various Hindu temples in the city, and all over the country. They attacked with axes, hammers, rods, guns, and even bare-hands. One of the mobs also attacked this landmark temple, and brought it to ground. Little that they knew, this was a Jain temple and not a Hindu one; a different religion altogether. The Jains are a pacifist religious group, who believe to the extent that the life of an insect or an ant is also worth preserving; but then what is the rationale behind a charged mob’s thinking. 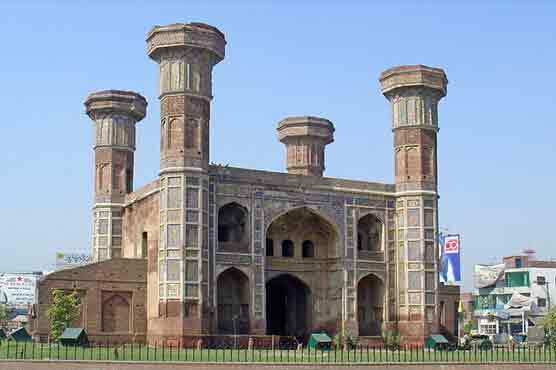 The cone-shaped structure that once served as the link between a non-Pakistani past now lies desecrated, inside a walled enclosure that was built around it. The tire repairperson still sits outside. The bifurcation was rechristened Babri chowk, in the honor of Babri mosque. However, no wagon, bus or rickshaw driver would know where the Babri chowk is; the bifurcation is still known as the Jain Mandar chowk, even without the Jain Mandar, a tribute to the desecrated temple, by the people of Lahore. 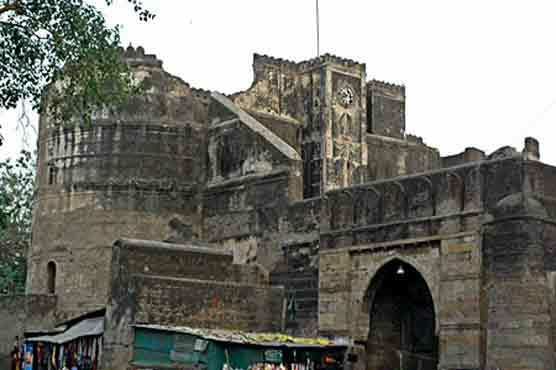 While there was a mob busy bringing down this structure, there was another charged one that took the direction of the Sitla Mandir, which was in between the Shah Alami and Lohari Gates. 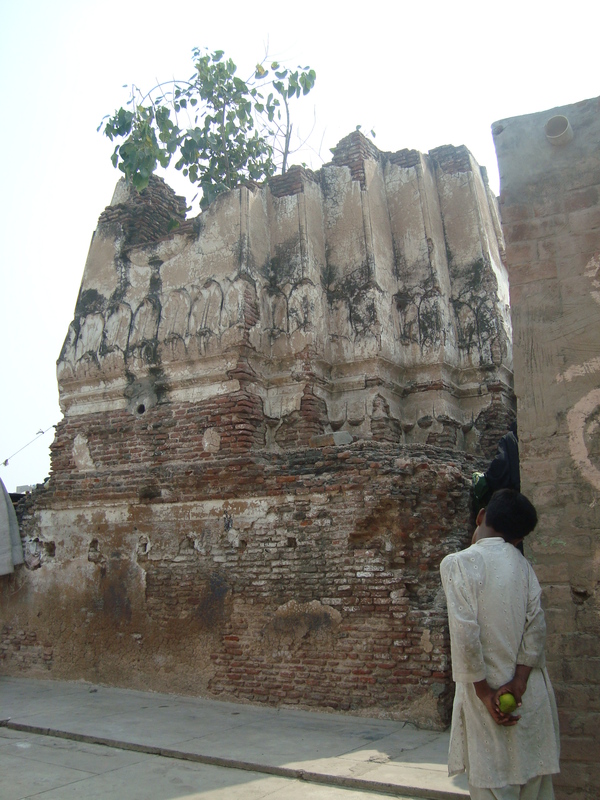 This was believed to be ancient temple, attended by Hindus and non-Hindus alike before the partition of British India. It was believed that a dip at the pool, which was next to the temple, could cure all skin diseases. Tara Chand, a 78 years old Hindu, living in Lahore tells me that for Diwali, a large number of people used to come to the temple, including Muslim women with their children. The cone shaped structure is still standing and is visible from afar. It is a triple storey building, with each floor now carved up, ingeniously, to cater to the increasing population demand. One the first floor, there is a Madrassa Noor-ul-Quran. Original black and white tiles of the pre-partition times are still present. However the floor is uneven, because of severe damage wrought to it during the attack. Regardless of the predicament, the madrassa still functions, and people continue to live. There is a Mewati family living on the top floor of the temple. An old woman from the family told me that she bought that particular area for Rs. 60,000 from the head Qari at the temple. She was living here when the temple was attacked. Ironically, she told us, it was the same Qari, who ran the madrassa at that time, who lead the attack. There were 2 other temples here too, all of which were attacked. This temple was lucky in particular as it survived the attack. There is a mosque next to this temple, which was built after the destruction of a temple here. “The mob had brought a crane with them, which they used to bring down the structure,” said the woman. She tells us about a passionate devotee who had climbed to the top of the structure damaging the temple with his axe, when the entire structure fell. “He became an instant Shaheed,” she added. The Qari continued teaching at the madrassa inside the Sitla temple, but quit a few years ago. 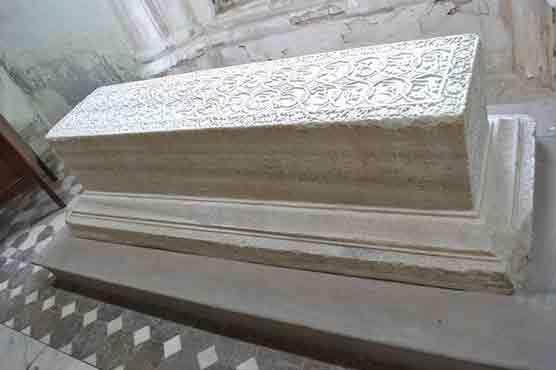 A small plate which reads “Ya Allah” decorates the niche at the top of the structure. Its historical pool has been filled and a Jinnah park for the community has been made. 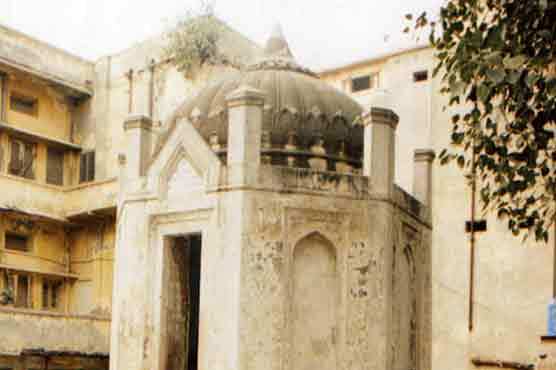 About 10 kilometers from here, inside the famous Thokar Niaz Baig, there is an ancient Hindu temple. This was the Bhadrakali Mandar, dedicated to an incarnation of the Hindu deity, Durga Mata. This was a huge complex, with various smadhs (stupas), a baoli (a huge well, with stairs that led to the base), an ancient Banyan tree, a pool and two temples. 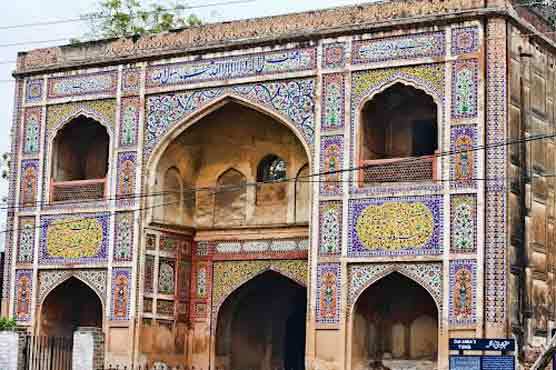 According to Tahrikh-e-Lahore, written by Kanhiya Lal, this temple used to host the largest Hindu festival in and around the city of Lahore. 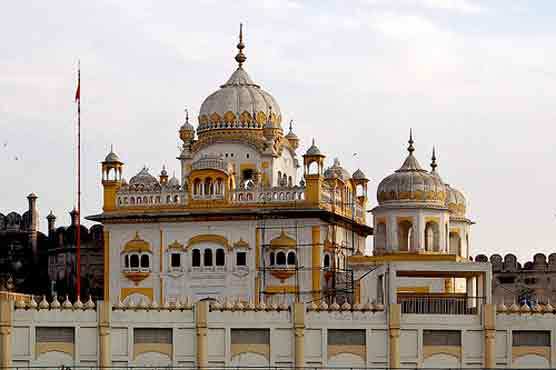 There is no historical account of one of the temple buildings, which served as the main one, but another huge structure with a dome was summoned by Maharaja Ranjit Singh, when he became the King of Punjab, according to Lal. This structure was never used as a temple. Now a government primary school functions in it. The smadhs have been filled, the pool covered, the Baoli lost, and the Banyan tree cut. 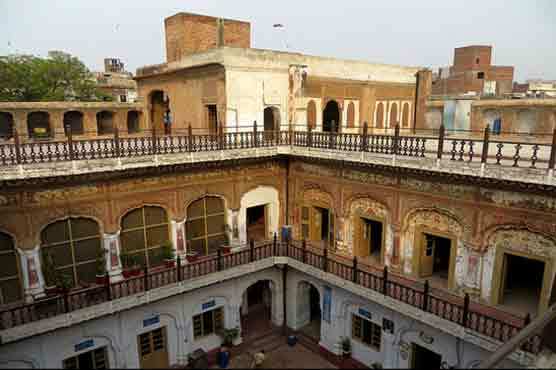 The original temple, now houses several Mewati families that migrated to Pakistan in 1947. They have wrought various changes to the structure to cater to their demand. A couple of years ago, when I visited the temple for my thesis the people living inside the temple were destroying the structure. When I asked them, their reason was that the structure had become weak and was a threat to the people living inside it. An old man, who requested to stay anonymous, from Niaz Baig, told me that following 1992 a mob attacked the temple, led by a proscribed organization, based here. However, before much damage could be wrought, the elderly of the locality dissuaded them. They argued that this is no longer a temple, but serves a primary school. The school children would be the only one affected by this action. This way the temple was saved, however, severe damage was wrought to the other building, which is now it is being razed to make way for a securer structure.